It was actually a fairly tricky one, which was why I said “Look carefully at this one” in the caption to it. But I just realized that I didn’t spell that out in the post itself, so I’m going to guess that a few of the incorrect guesses might not have been made if they had seen that warning. But the correct answer, as my classmates Benny and Daniel correctly noted, was the Tunisian (Or Torah) Synagogue from the New City of Akko / Acre. Ilana correctly noticed the frame on the edges of the picture, which might have given away that this is indeed a modern mosaic. Similarly, some of you might have noticed rectangular electric panel where the center candle on the menorah is (the mosaic covers the panel, but you can still see the panel). And since Akko is located in the Western Galilee, I guess Ilana also technically had the correct answer, though not a complete one! So, what’s the story with this synagogue? In truth, it is magnificent! 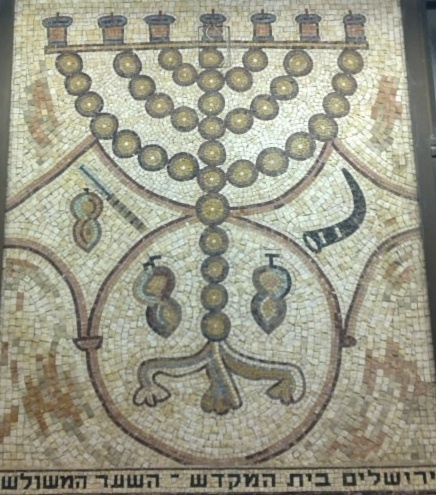 All four floors of this synagogue are covered — floor, walls and ceiling — in mosaics. I am a huge fan of the mosaic as an art form, but this is something beyond anything you’ve ever seen. 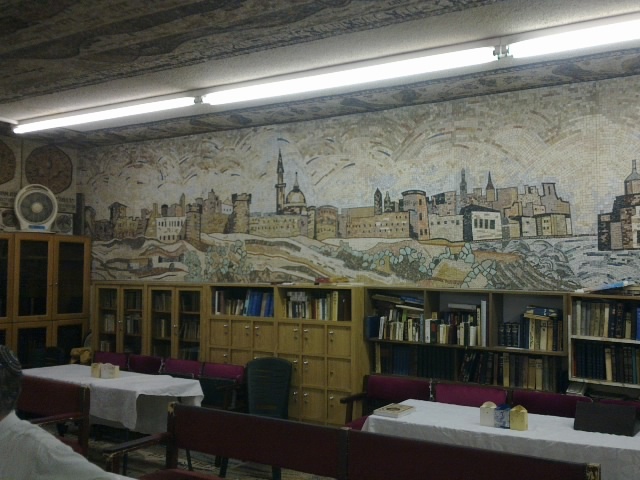 Various artists have been working on decorating this synagogue for the past 60 years, and there are still certain parts that are not complete (though it is getting close). There are also a number of stained glass windows, and some very elaborate doors to the Holy Ark in the upstairs sanctuary. The downstairs chapel in the synagogue. Mosaics from top to bottom. 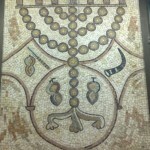 You may notice that both Shmuel and Orah guessed that the picture was from the synagogue in Maon. They were referring to a mosaic floor from the ruins of a Byzantine era synagogue in the town of Maon, in the northwestern Negev. 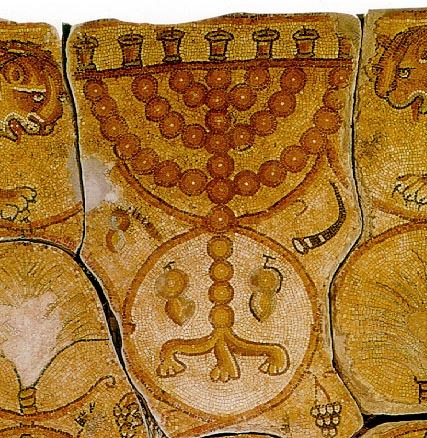 In fact, it would seem that the mosaic menorah from my Mystery Photo was in fact copied from the menorah from Maon. So they should really not feel bad at all! Bottom line, there is a ton to see that is worthwhile in Akko / Acre. So I definitely recommend a trip there. But when you find yourself there, I also encourage you to make the time to stop in at the Or Torah Tunisian Synagogue, even if just for a few minutes. If you like mosaic art even remotely as much as I do, you won’t regret the stop! Now, what’s the over-under on how many people guess today’s Mystery Photo correctly? welcome back! and mazaltov again! its the view from the massive hill at Beit Shean looking down the main street! ye baby! I got my groove back! 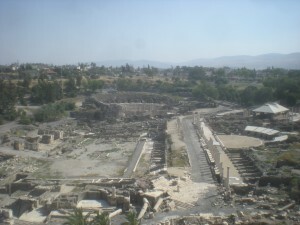 that’s the view from tel beit shean to “palladius street”. unfortunately the camera can’t convey the wind in your hair or the feeling of being on top of the world.